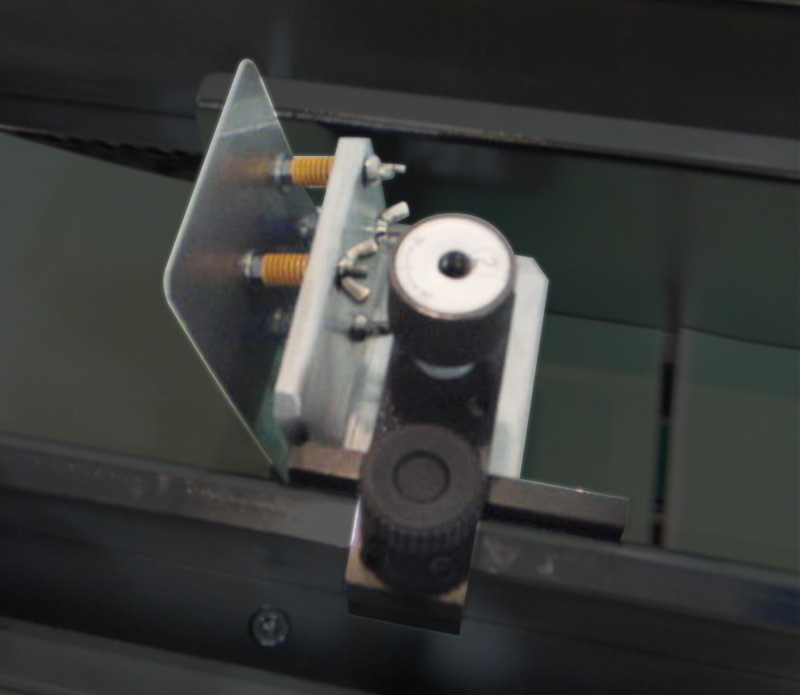 Spine Tapers｜KONOHANA Co., Ltd.｜For binding machines and binding/printing materials, contact KONOHANA. 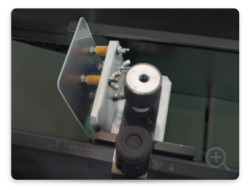 The motor drive quickly adjusts the depth of papers. 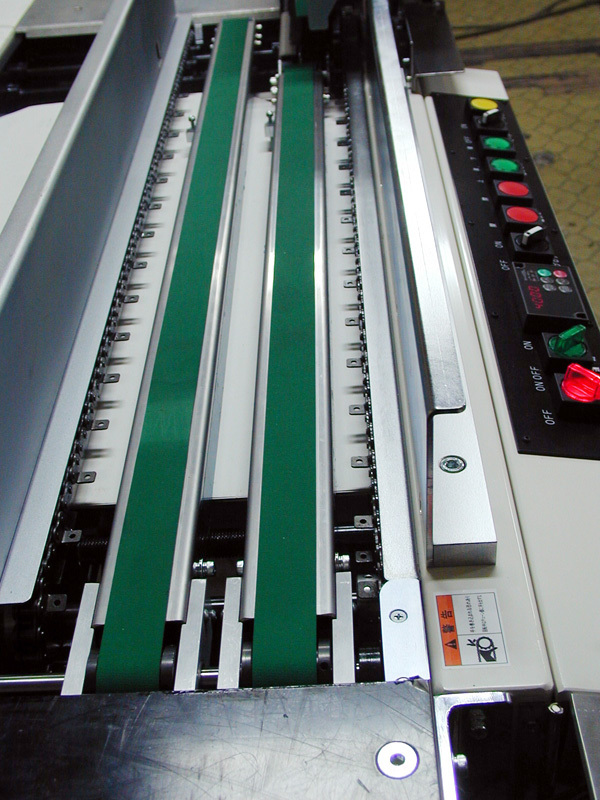 The stitching machine can be used in-line. Automatic paper feeding/conveying is optional. Tape is accurately cut because the dimensions of the paper are measured using LEDs. 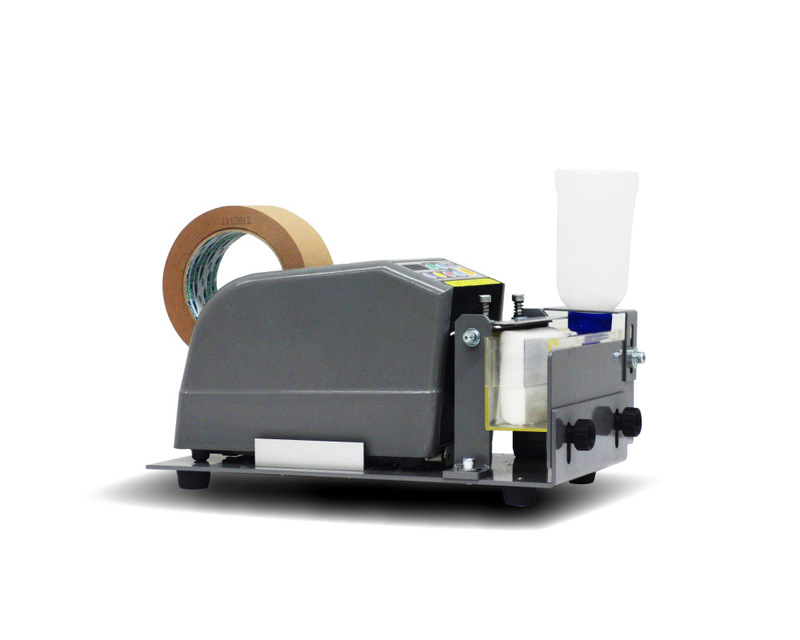 The tape is then attached using air pressure, resulting in a high-quality finish. Anybody can easily operate this machine, including workers who are not mechanically-inclined and temporary workers. Also, it has excellent durability which is appreciated by our customers. Papers are automatically conveyed when put on the belt. Conveying can be carried out without worrying about the distance between text blocks. 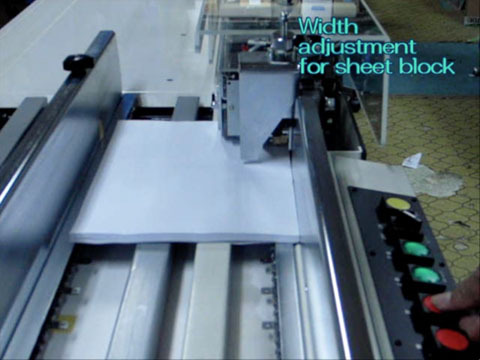 Automatic feeding can be used for both thin and thick text blocks. 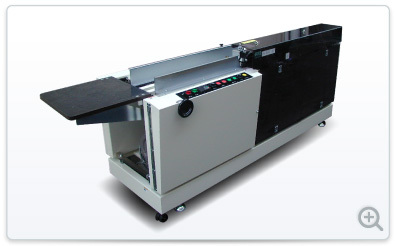 The stitching machine and the automatic paper counter can be used in-line. The stripping tape is cut to a specified length and water is put on it. It's best for spine taping of a small number of text blocks. 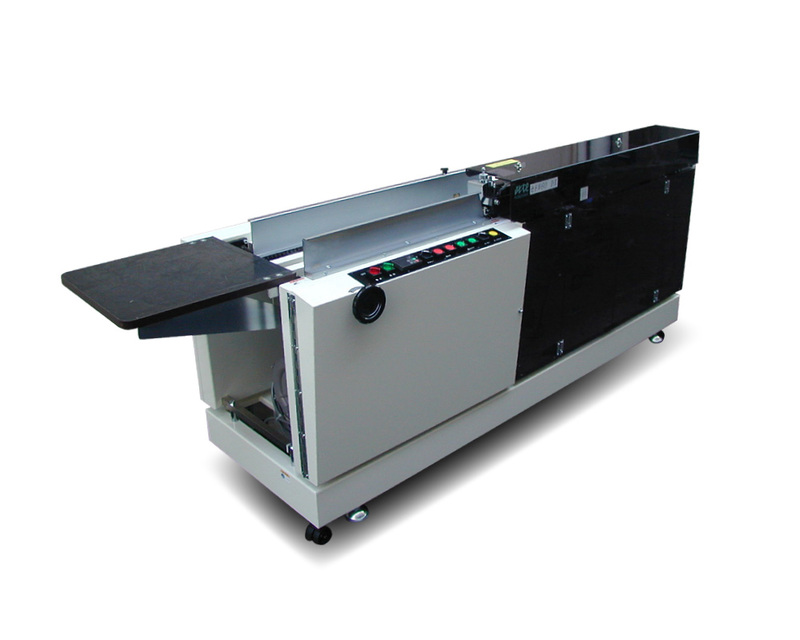 You will be free from manually cutting and pasting according to specific dimensions. 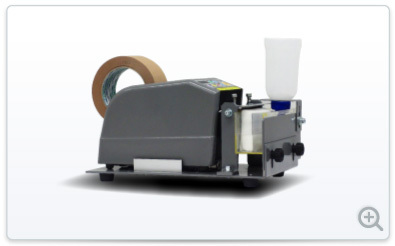 Adhesive tape for packaging can also be cut to a specific length, providing a professional-looking packaging appearance. Because we are an eco-friendly company, we are part of the Green Printing Certification System. What is the Green Printing Certification System? 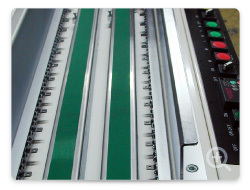 The purpose of the Green Printing Certification System (GP Certification System) is to enable distribution of environmentally-sound printed materials by certifying factories and offices which fulfill the criteria, recommending such factories/offices as eco-conscious companies, and labeling the Green Printing Logo (GP Logo) on printed materials which meet the criteria. *Product specifications and designs are subject to change without notice.